GENUINE ONE LADY OWNER EXAMPLE WITH FULL TOYOTA MAIN DEALER SERVICE HISTORY IN TRULY EXCEPTIONAL, UNRIVALLED CONDITION THROUGHOUT. THIS 'ONE OF A KIND' EXAMPLE COMES WITH 12 MONTHS MOT, INCREDIBLE MAIN DEALER SERVICE HISTORY, 12 MONTHS COMPREHENSIVE NATIONWIDE WARRANTY AND 12 MONTHS AA BREAKDOWN COVER. JUST ARRIVED! 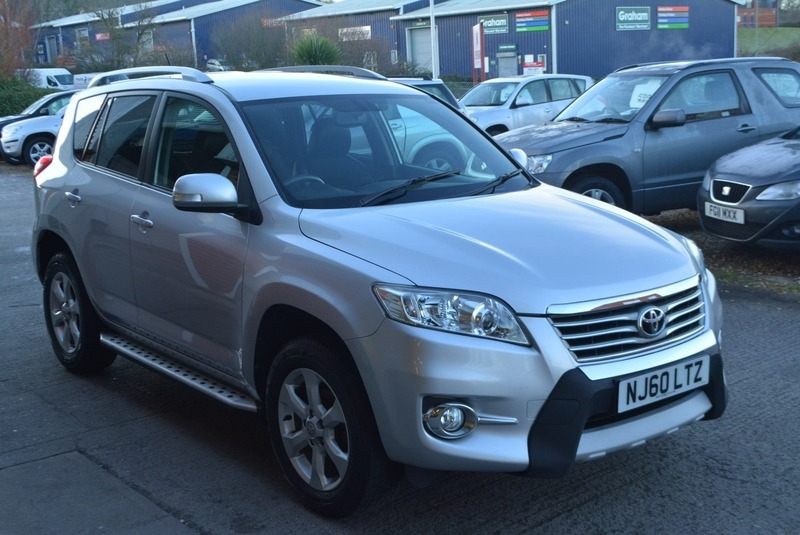 Here we have a stunning TOYOTA RAV4 XT-R D-4D 2.2L DIESEL MANUAL 5 DOOR 4X4 in tyrol silver metallic with full style pack and black alcantara interior in amazing condition throughout. First to view and test drive wil buy! Total Toyota main dealer service history at intervals of 8k, 17k, 27k, 37k, 45k, 55k, 64k & 72k with a new service conducted at Toyota main dealer, a new MOT, 12 months warranty and 12 months AA breakdown at point of sale, having now covered 81,000 miles. Coming fully equipped with full style pack including front a-bar and lateral running side steps, half leather interior, cruise control, dual zone climate control air conditioning, electric windows, am/fm stereo with front loading cd player electric mirrors, fully integrated bluetooth connectivity, and two fully remote keys.